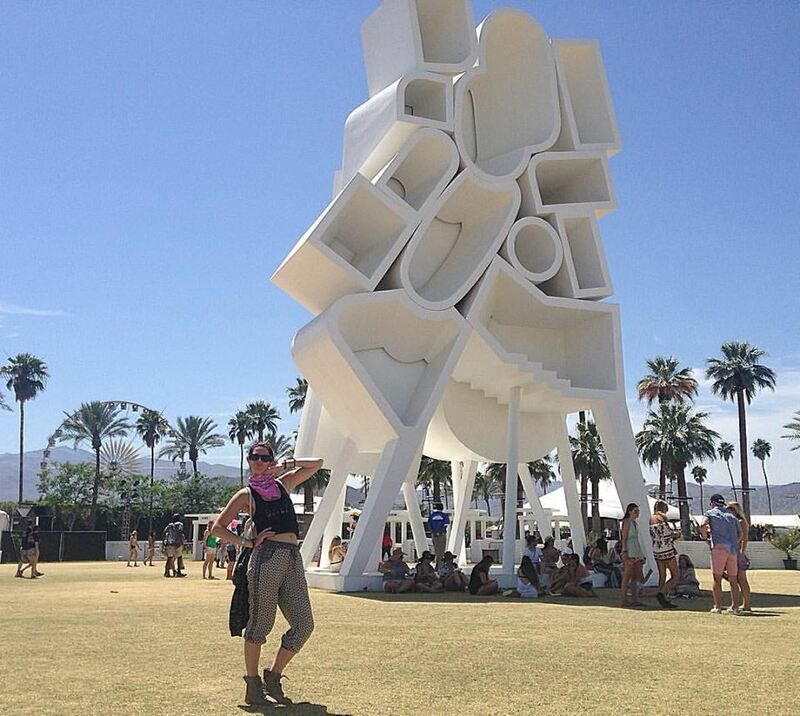 All Access Music writer + interviewer, Nicole DeRosa (aka one woman show) at Coachella 2015 up and ready for her interviews at 8am! Here we go again for another fulled filled festival season! By now, you’re probably scanning the line-ups for your favorite music festivals to strategize how to see all of your favorite acts throughout the course of a weekend. But, don’t get too carried away! Remember there are things you need to take with you to survive a festival. Below are some of my MUST HAVE items as I galavant, sweat (I like to think of it as glow…) and stay organized as I conduct my interviews during festival season, from Life Is Beautiful in Vegas to BottleRock Napa to Coachella and beyond! 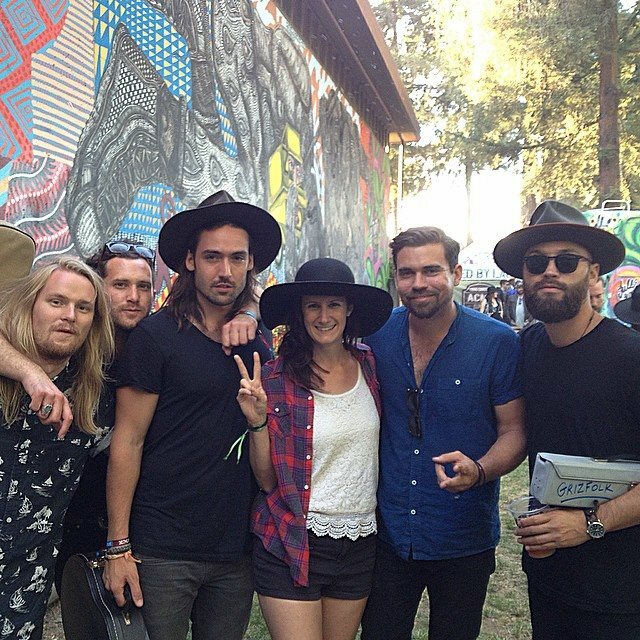 Nicole with the lovely gentleman of Swedish band, GRIZFOLK at BottleRock Napa, 2015. Nicole interviewing BØRNS at Life Is Beautiful Festival , 2015 in Las Vegas. The lovely people at Exposure USA, Herschel, Teeki, DT PR, ChicExecs, WalletBuckle , Salty Mermaid, Arrojo, Jose Cuervo and Green Goo by Sierra Sage hooked your girl, All Access Music writer, Nicole DeRosa up with a round up of the top festival essentials that Nicole is currently coveting and that she thinks you need to pack! Most music festivals last two to three days, and between the concerts, activities, parties, and mustering as much sleep as possible, the last thing you’ll want to do is worry about washing and blow-drying your hair. ARROJO’s ReFINISH dry shampoo cleans hair without water by absorbing excess oils. Creates texture and volume while protecting hair from damage caused by daily cleansing. Link to purchase here . Now it’s easy to enjoy the great taste of a top-quality margarita anywhere, anytime whether its in your tent, around a bonfire or at a friends backyard pool party in Palm Springs! This drink provides a deliciously convenient cocktail option with premium ingredients for any spring or summer festival occasion. Flavors include: Sparkling Paloma, Classic Lime and Strawberry Lime Margarita. Available in 4 pack cans. Link to purchase here . If you’re heading to Coachella, a backpack is the chicest way to carry all of your essentials. Herschel Supply Co. has recently released the Dawn Collection, a line of bags and apparel made with vibrant straw tapestry, premium leather, polished brass hardware, and custom cotton finishes. Link to purchase here . For the rockstar in the front row of every performance at every music festival– there is the Cuervo family’s blue agave recipe bottled at 81 proof. Pace yourself! The bottles are like a portal into rock ‘n’ roll history; your chance to party like The Stones and the gaggle of celebrities and fans in their wake. The bottle was created to celebrate the pivotal role Jose Cuervo® played in fueling The Rolling Stones™’ notorious 1972 North American tour, which was dubbed the ‘Tequila Sunrise Tour’. Price: $19.00 USD. Link to purchase here . 5. Introducing The Wallet Buckle! Fashionable, practical and secure, this belt buckle is designed to closely carry your cash and cards safely. We’ve all been there … you’re on-the-go, living an active lifestyle, and attending one of the biggest country music events in the country. The last thing you want to worry about is a bulky purse to lug around or a wallet bulging in your pocket. Whether you’re traveling, camping, or watching a concert, you can feel the comfort of knowing that your important resources are safe, secure, and within reach. Have the freedom to enjoy yourself completely without the worry of having your purse or wallet lost or stolen. Grab your wallet buckle HERE before you head to Stagecoach festival or your next honky tonk saloon! Fans of Tekki dance to a different beat, stretch with the yogis of the world, run to the highest peaks, hike in unexplored territories, and swim where the ocean becomes one. Teeki takes water bottles and turn them into clothes, giving them purpose again through an eco-friendly process. The brand supports you with your active lifestyle and adventures; yoga, gym, workout, surf, sports, dance, flow and constantly moving forward with your body, mind, and spirit. Peep the Teeki website HERE to learn about it’s beautiful story and shop their virtual store. AllAccess.com journalist, Nicole DeRosa joined the #SaltyMermaidSquad and is seen here rocking her Salty Mermaid crop top at Coachella 2016! There’s a new mermaid in town and her name is Salty…Salty Mermaid that is! The new swimwear line will be launching their latest selection very soon but until then, be sure to join their #SaltyMermaidSquad to be entered to win a FREE Salty Mermaid crop top! The brand will choose 15 winners every week. Enter for a chance to win by visiting their website HERE ! If you have more suggestions on what YOU pack for festival season, drop Nicole at line at any of her socials below!